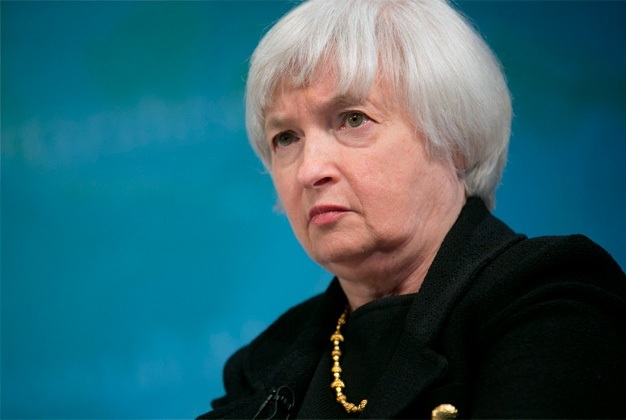 Janet Yellen doesn't want a Fed audit, but you should! The Fed hasn’t allowed interest rates to rise since 2006. A weak economy and (reportedly) low inflation over the past decade have encouraged the Bank to continue to expand the money supply, keeping interest rates down to incentivize borrowing. This policy is based on the Keynesian assumption that the economy suffers from insufficient demand, and that using government to provoke more spending can turn things around. To anyone who’s tried to find a job lately, it’s clear that this hasn’t worked. Growth remains sluggish, and labor force participation has dropped to the lowest it’s been since 1977 - the year Elvis died and Star Wars was born. But since the Fed operates under a dual mandate - to stimulate the economy as well as regulating the money supply - and since markets get spooked every time talk of raising interest rates occurs, the Bank has had little incentive to alter its policies. This is bad, not just because the Fed’s policies are ineffective, but because they actively harm our economy and create economic bubbles that result in disastrous recessions. Since artificially manipulated interest rates paint a false picture of consumers’ behavior, businesses are unable to plan their spending efficiently. The result is bad investments that, when they fail to perform as a expected, ripple throughout the entire economy. The fact that the Fed’s intentions are the subject of so much worldwide speculation reveals the power the agency wields. And regrettably, much of what the Bank does is off the books, unknown to the general public or even to Members of Congress. Given the potential consequences, not just to the United States, but to the world economy, it is vital that the Fed be subject to as much transparency and accountability as possible. The good news is, there is actually a chance to achieve some of this transparency this year. The Federal Reserve Transparency Act of 2015 currently has 184 cosponsors in the House and 32 cosponsors in the Senate. Last year, the bill easily pass the House, but got stalled in the Senate where Harry Reid refused to allow it to come to the floor for a vote. WIth Harry Reid no longer Senate Majority Leader, and with Mitch McConnell’s office stating publicly that he will hold a vote on the bill, this is the best chance we have to audit the Fed since Ron Paul started the push for transparency in 2009. Federal Reserve Chairwoman Janet Yellen has been vocal in opposing any audit, claiming that congressional scrutiny would introduce too many political pressures into the nominally non-partisan agency. An examination of the Fed’s policies over the last ten years, however, indicates that the agency has failed in its duties and has not benefited from insulation from accountability. FreedomWorks has issued a letter of support for the Federal Reserve Transparency Act of 2015. We ask that you please urge your representative and senators to cosponsor the Act if they have not already done so. This is our best chance to bring long overdue accountability to the nation’s most powerful Bank.